For the abbreviation, see VC. For other uses, see Victoria Cross (disambiguation). 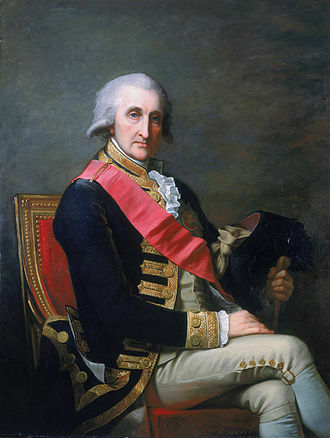 Persons of any rank in the Naval, Military and Air Forces of the United Kingdom, its colonies or territories, and Commonwealth countries that award UK honours; members of the Merchant Navy; and civilians serving under the orders, directions or supervision of any of the above-mentioned forces or services. "... most conspicuous bravery, or some daring or pre-eminent act of valour or self-sacrifice, or extreme devotion to duty in the presence of the enemy." 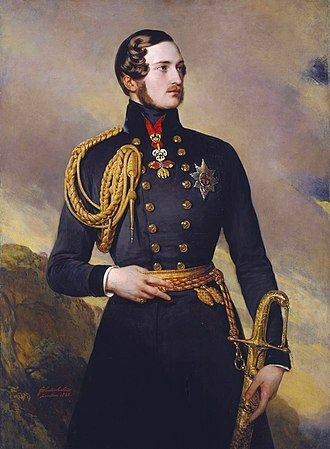 The VC was introduced on 29 January 1856 by Queen Victoria to honour acts of valour during the Crimean War. Since then, the medal has been awarded 1,358 times to 1,355 individual recipients. Only 15 medals, 11 to members of the British Army, and four to the Australian Army, have been awarded since the Second World War. 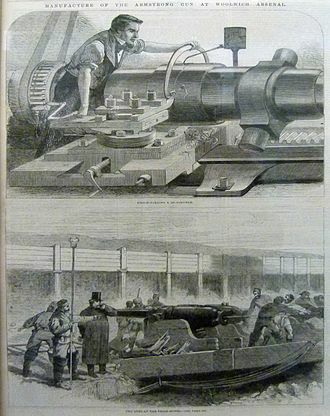 The traditional explanation of the source of the metal from which the medals are struck is that it derives from Russian cannon captured at the Siege of Sevastopol. However, research has suggested another origin for the material. Historian John Glanfield has established that the metal for most of the medals made since December 1914 came from two Chinese cannon, and that there is no evidence of Russian origin. Owing to its rarity, the VC is highly prized and the medal has fetched over £400,000 at auction. A number of public and private collections are devoted to the Victoria Cross. The private collection of Lord Ashcroft, amassed since 1986, contains over one-tenth of all VCs awarded. Following a 2008 donation to the Imperial War Museum, the Ashcroft collection went on public display alongside the museum's Victoria and George Cross collection in November 2010. Beginning with the Centennial of Confederation in 1967, Canada, followed in 1975 by Australia and New Zealand, developed their own national honours systems, separate from and independent of the British or Imperial honours system. As each country's system evolved, operational gallantry awards were developed with the premier award of each system—the Victoria Cross for Australia, the Canadian Victoria Cross and the Victoria Cross for New Zealand—being created and named in honour of the Victoria Cross. These are unique awards of each honours system, recommended, assessed, gazetted and presented by each country. In 1854, after 39 years of peace, Britain found itself fighting a major war against Russia. 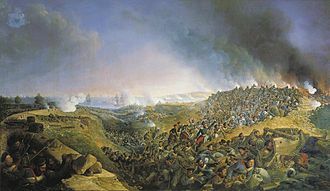 The Crimean War was one of the first wars with modern reporting, and the dispatches of William Howard Russell described many acts of bravery and valour by British servicemen that went unrewarded. Before the Crimean War, there was no official standardised system for recognition of gallantry within the British armed forces. Officers were eligible for an award of one of the junior grades of the Order of the Bath and brevet promotions while a Mention in Despatches existed as an alternative award for acts of lesser gallantry. This structure was very limited; in practice awards of the Order of the Bath were confined to officers of field rank. Brevet promotions or Mentions in Despatches were largely confined to those who were under the immediate notice of the commanders in the field, generally members of the commander's own staff. 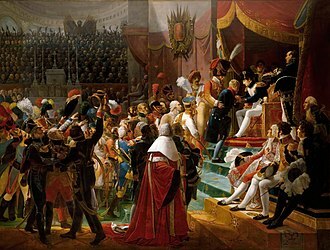 Other European countries had awards that did not discriminate against class or rank; France awarded the Légion d'honneur (Legion of Honour, established 1802) and The Netherlands gave the Order of William (established in 1815). There was a growing feeling among the public and in the Royal Court that a new award was needed to recognise incidents of gallantry that were unconnected with the length or merit of a man's service. Queen Victoria issued a Warrant under the Royal sign-manual on 29 January 1856 (gazetted 5 February 1856) that officially constituted the VC. The order was backdated to 1854 to recognise acts of valour during the Crimean War. 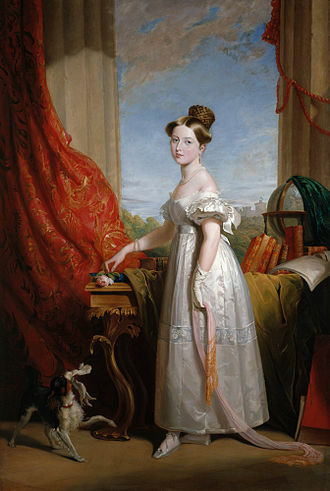 Queen Victoria had instructed the War Office to strike a new medal that would not recognise birth or class. The medal was meant to be a simple decoration that would be highly prized and eagerly sought after by those in the military services. 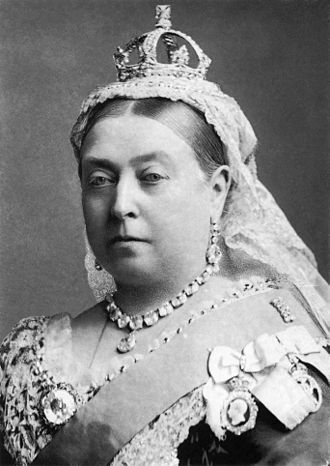 To maintain its simplicity, Queen Victoria, under the guidance of Prince Albert, vetoed the suggestion that the award be called The Military Order of Victoria and instead suggested the name Victoria Cross. The original warrant stated that the Victoria Cross would only be awarded to officers and men who had served in the presence of the enemy and had performed some signal act of valour or devotion. The first ceremony was held on 26 June 1857 at which Queen Victoria invested 62 of the 111 Crimean recipients in a ceremony in Hyde Park, London. 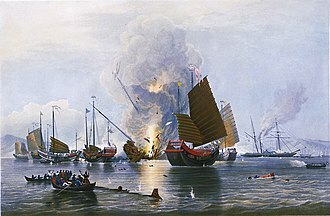 It has long been widely believed that all the VCs were cast from the cascabels of two cannon that were captured from the Russians at the siege of Sevastopol. However, in 1990 Creagh and Ashton conducted a metallurgical examination of the VCs in the custody of the Australian War Memorial, and later the historian John Glanfield wrote that, through the use of X-ray studies of older Victoria Crosses, it was determined that the metal used for almost all VCs since December 1914 is taken from antique Chinese guns, replacing an earlier gun. Creagh noted the existence of Chinese inscriptions on the cannon, which are now barely legible due to corrosion. A likely explanation is that these cannon were taken as trophies during the First Opium War and held in the Woolwich repository. It was also thought that some medals made during the First World War were composed of metal captured from different Chinese guns during the Boxer Rebellion. This is not so, however. The VCs examined by Creagh and Ashton both in Australia (58) and at the QE II Army Memorial Museum in New Zealand (14) spanned the entire time during which VCs have been issued and no compositional inconsistencies were found. It was also believed that another source of metal was used between 1942 and 1945 to create five Second World War VCs when the Sevastopol metal "went missing". Creagh accessed the Army records at MoD Donnington in 1991 and did not find any gaps in the custodial record. The composition found in the WW2 VCs, amongst them those for Edwards (Australia) and Upham (New Zealand), is similar to that for the early WW1 medals. This is likely to be due to the reuse of material from earlier pourings, casting sprues, defective medals, etc. The barrels of the Chinese cannon are on display at Firepower – The Royal Artillery Museum at Woolwich. The remaining portion of the only remaining cascabel, weighing 358 oz (10 kg), is stored in a vault maintained by 15 Regiment Royal Logistic Corps at MoD Donnington. It can only be removed under armed guard. It is estimated that approximately 80 to 85 more VCs could be cast from this source. The front and back of Edward Holland's VC. The decoration is a bronze cross pattée, 1 39/64" (41 mm) high, 1 27/64" (36 mm) wide, bearing the crown of Saint Edward surmounted by a lion, and the inscription FOR VALOUR. This was originally to have been FOR THE BRAVE, until it was changed on the recommendation of Queen Victoria, as it implied that not all men in battle were brave. 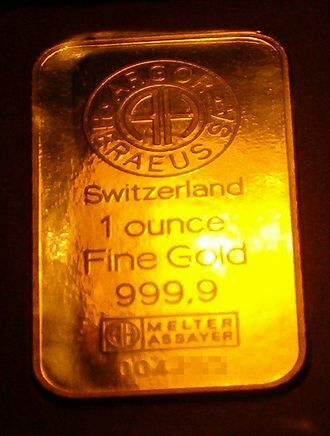 The decoration, suspension bar and link weigh about 0.87 troy ounces (27 g). The ribbon is crimson, 1 1/2 " (38 mm) wide. The original (1856) specification for the award stated that the ribbon should be red for army recipients and dark blue for naval recipients. However the dark blue ribbon was abolished soon after the formation of the Royal Air Force on 1 April 1918. On 22 May 1920 King George V signed a warrant that stated all recipients would now receive a red ribbon and the living recipients of the naval version were required to exchange their ribbons for the new colour. 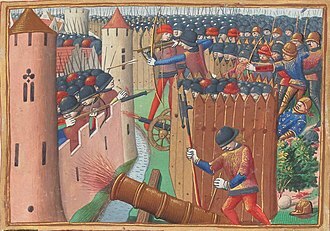 Although the army warrants state the colour as being red, it is defined by most commentators as being crimson or "wine-red". Since 1917 a miniature of the Cross has been affixed to the centre of the ribbon bar when worn without the Cross. In the event of a second award bar, a second replica is worn alongside the first. The original Royal Warrant did not contain a specific clause regarding posthumous awards, although official policy was not to award the VC posthumously. Between the Indian Mutiny in 1857 and the beginning of the Second Boer War the names of six officers and men were published in the London Gazette with a memorandum stating they would have been awarded the Victoria Cross had they survived. A further three notices were published in the London Gazette in September 1900 and April 1901 for gallantry in the Second Boer War. In an exception to policy for the Boer War, six posthumous Victoria Crosses, three to those mentioned in the notices in 1900 and 1901 and a further three, were granted on 8 August 1902, the first official posthumous awards. [a] Five years later in 1907, the posthumous policy was reversed for earlier wars, and medals were sent to the next of kin of the six officers and men whose names were mentioned in notices in the Gazette dating back to the Indian Mutiny. The Victoria Cross warrant was not amended to explicitly allow posthumous awards until 1920, but one quarter of all awards for World War I were posthumous. Between 1858 and 1881 the Victoria Cross could be awarded for actions taken "under circumstances of extreme danger" not in the face of the enemy. Six such awards were made during this period—five of them for a single incident during an Expedition to the Andaman Islands in 1867. In 1881, the criteria were changed again and the VC was only awarded for acts of valour "in the face of the enemy". Due to this it has been suggested by many historians including Lord Ashcroft that the changing nature of warfare will result in fewer VCs being awarded. The Victoria Cross was extended to colonial troops in 1867. 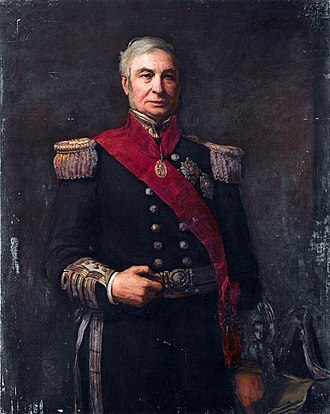 The extension was made following a recommendation for gallantry regarding colonial soldier Major Charles Heaphy for action in the New Zealand land wars in 1864. He was operating under British command and the VC was gazetted in 1867. Later that year, the Government of New Zealand assumed full responsibility for operations but no further recommendations for the Victoria Cross were raised for local troops who distinguished themselves in action. Following gallant actions by three New Zealand soldiers in November 1868 and January 1869 during the New Zealand land wars, an Order in Council on 10 March 1869 created a "Distinctive Decoration" for members of the local forces without seeking permission from the Secretary of State for the Colonies. 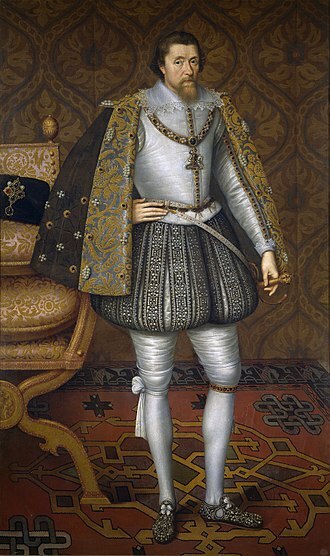 Although the governor was chided for exceeding his authority, the Order in Council was ratified by the Queen. The title "Distinctive Decoration" was later replaced by the title New Zealand Cross. The question of whether awards could be made to colonial troops not serving with British troops was raised in South Africa in 1881. Surgeon John McCrea, an officer of the South African forces was recommended for gallantry during hostilities which had not been approved by the British Government. He was awarded the Victoria Cross and the principle was established that gallant conduct could be rewarded independently of any political consideration of military operations. More recently, four Australian soldiers were awarded the Victoria Cross in Vietnam although Britain was not involved in the conflict. Since the Second World War, most but not all Commonwealth countries have created their own honours systems and no longer participate in the British honours system. This began soon after the Partition of India in 1947, when the new countries of India and Pakistan introduced their own systems of awards. The VC was replaced by the Param Vir Chakra (PVC) and Nishan-e-Haider (NH) respectively. Most if not all new honours systems continued to permit recipients of British honours to wear their awards according to the rules of each nation's order of wear. Sri Lanka, whose defence personnel were eligible to receive the Victoria Cross until 1972, introduced its own equivalent, the Parama Weera Vibhushanaya medal. Three Commonwealth realms—Australia, Canada and New Zealand—have each introduced their own decorations for gallantry and bravery, replacing British decorations such as the Victoria Cross with their own. The only Commonwealth countries that still can recommend the VC are the small nations, none of whose forces have ever been awarded the VC, that still participate in the British honours system. With effect from 6 April 1952, when the Union of South Africa instituted its own range of military decorations and medals, these new awards took precedence before all earlier British decorations and medals awarded to South Africans, with the exception of the Victoria Cross, which still took precedence before all other awards. The other older British awards continued to be worn in the order prescribed by the British Central Chancery of the Orders of Knighthood. Australia was the first Commonwealth realm to create its own VC, on 15 January 1991. Although it is a separate award, its appearance is identical to its British counterpart. Canada followed suit when in 1993 Queen Elizabeth signed Letters Patent creating the Canadian VC, which is also similar to the British version, except that the legend has been changed from FOR VALOUR to the Latin PRO VALORE This language was chosen so as to favour neither French nor English, the two official languages of Canada. New Zealand was the third country to adapt the VC into its own honours system. While the New Zealand and Australian VCs are technically separate awards, the decoration is identical to the British design, including being cast from the same Crimean War gunmetal as the British VC. The Canadian Victoria Cross also includes metal from the same cannon, along with copper and other metals from all regions of Canada. Five of the separate VCs have so far been awarded. Willie Apiata received the Victoria Cross for New Zealand on 2 July 2007, for his actions in the War in Afghanistan in 2004. The Victoria Cross for Australia has been awarded four times. Mark Donaldson was awarded the Victoria Cross for Australia on 16 January 2009 for actions during Operation Slipper, the Australian contribution to the War in Afghanistan. Ben Roberts-Smith was awarded the Victoria Cross for Australia on 23 January 2011 for actions in the Shah Wali Kot Offensive, part of the War in Afghanistan. Daniel Keighran was awarded the Victoria Cross for Australia on 1 November 2012 for his actions during the Battle of Derapet in Oruzgan Province, Afghanistan, on 24 August 2010. A posthumous award was made to Corporal Cameron Baird for actions in Afghanistan in 2013. A Canadian version has been cast that was originally to be awarded to the Unknown Soldier at the rededication of the Vimy Memorial on 7 April 2007. This date was chosen as it was the 90th anniversary of the battle of Vimy Ridge but pressure from veterans' organisations caused the plan to be dropped. As the highest award for valour of the United Kingdom, the Victoria Cross is always the first award to be presented at an investiture, even before knighthoods, as was shown at the investiture of Private Johnson Beharry, who received his medal before General Sir Mike Jackson received his knighthood. Owing to its status, the VC is always the first decoration worn in a row of medals and it is the first set of post-nominal letters used to indicate any decoration or order. Similar acts of extreme valour that do not take place in the face of the enemy are honoured with the George Cross (GC), which has equal precedence but is awarded second because the GC is newer. There is a widespread though erroneous belief that it is statutory for "all ranks to salute a bearer of the Victoria Cross". There is no official requirement that appears in the official Warrant of the VC, nor in Queen's Regulations and Orders, but tradition dictates that this occurs and as such senior officers will salute a private awarded a VC or GC. As there was no formal order of wear laid down, the Victoria Cross was at first worn as the recipient fancied. It was popular to pin it on the left side of the chest over the heart, with other decorations grouped around the VC. The Queen's Regulations for the Army of 1881 gave clear instructions on how to wear it; the VC had to follow the badge of the Order of the Indian Empire. In 1900 it was ordained in Dress Regulations for the Army that it should be worn after the cross of a Member of the Royal Victorian Order. It was only in 1902 that King Edward VII gave the cross its present position on a bar brooch. The cross is also worn as a miniature decoration on a brooch or a chain with mess jacket, white tie or black tie. As a bearer of the VC is not a Companion in an Order of Chivalry, the VC has no place in a coat of arms. The original warrant stated that NCOs and private soldiers or seamen on the Victoria Cross Register were entitled to a £10 per annum annuity. In 1898, Queen Victoria raised the pension to £50 for those that could not earn a livelihood, be it from old age or infirmity. Today holders of the Victoria Cross or George Cross are entitled to an annuity, the amount of which is determined by the awarding government. Since 2015, the annuity paid by the British Government is £10,000 per year. This is exempted from tax for British taxpayers by Section 638 Income Tax (Earnings and Pensions) Act 2003, along with pensions or annuities from other awards for bravery. In Canada under the Gallantry Awards Order, members of the Canadian Forces or people who joined the British forces before 31 March 1949 while domiciled in Canada or Newfoundland receive Can$3,000 per year. Under Subsection 103.4 of the Veterans' Entitlements Act 1986, the Australian Government provides a Victoria Cross Allowance. Until November 2005 the amount was A$3,230 per year. Since then this amount has been increased annually in line with the Australian Consumer Price Index. The original Royal Warrant involved an expulsion clause that allowed for a recipient's name to be erased from the official register in certain wholly discreditable circumstances and his pension cancelled. Eight were forfeited between 1861 and 1908. The power to cancel and restore awards is still included in the Victoria Cross warrant. The last award to be forfeited was in 1908 and none have been restored. A total of 1,358 Victoria Crosses have been awarded since 1856 to 1,355 men. 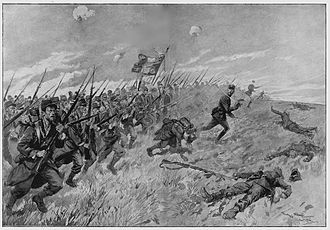 There are several statistics related to the greatest number of VCs awarded in individual battles or wars. The greatest number of Victoria Crosses awarded for a single day was 24 for deeds performed during the Indian Mutiny on 16 November 1857, 23 for deeds at Lucknow and one by Francis David Millet Brown for action at Narnoul, south of Delhi. The greatest number won by a single unit during a single action is seven, to the 2nd/24th Foot, for the defence of Rorke's Drift, 22–23 January 1879, during the Zulu War. 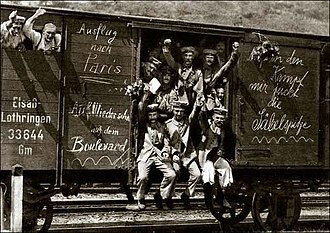 The greatest number won in a single conflict is 628, being for the First World War. There are five living holders of the VC—one RAF (WW2), three British Army (Confrontation, Iraq and Afghanistan) and one Australian Army (Vietnam). Eight of the then-twelve surviving holders of the Victoria Cross attended the 150th Anniversary service of remembrance at Westminster Abbey on 26 June 2006. In the 1990s, Australia and New Zealand created their own highest award with both named in honour of the British Victoria Cross. There are three living recipients of the Victoria Cross for Australia and one living recipient of the Victoria Cross for New Zealand. In 1921, the British Unknown Warrior was awarded the US Medal of Honor and reciprocally the Victoria Cross was presented to the American Unknown Soldier of the First World War. This is the only ungazetted VC award and is included in the total of 1,358 awards. Three people have been awarded the VC and Bar, the bar representing a second award of the VC. They are: Noel Chavasse and Arthur Martin-Leake, both doctors in the Royal Army Medical Corps, for rescuing wounded under fire; and New Zealander Charles Upham, an infantryman, for combat actions. Upham remains the only combatant soldier to have received a VC and Bar. An Irishman, Surgeon General William Manley, remains the sole recipient of both the Victoria Cross and the Iron Cross. The VC was awarded for his actions during the Waikato-Hauhau Maori War, New Zealand on 29 April 1864 while the Iron Cross was awarded for tending the wounded during the Franco-Prussian War of 1870–71. Royal New Zealand Air Force Flying Officer Lloyd Trigg has the distinction of being the only serviceman ever awarded a VC on evidence solely provided by the enemy, for an action in which there were no surviving Allied witnesses. The recommendation was made by the captain of the German U-boat U-468 sunk by Trigg's aircraft. Lieutenant Commander Gerard Roope was also awarded a VC on recommendation of the enemy, the captain of the Admiral Hipper, but there were also numerous surviving Allied witnesses to corroborate his actions. Since the end of the Second World War the original VC has been awarded 15 times: four in the Korean War, one in the Indonesia-Malaysia confrontation in 1965, four to Australians in the Vietnam War, two during the Falklands War in 1982, one in the Iraq War in 2004, and three in the War in Afghanistan for actions in 2006, 2012 and 2013. 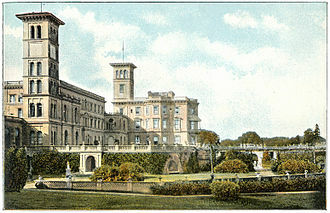 In 1856, Queen Victoria laid a Victoria Cross beneath the foundation stone of Netley Military hospital. When the hospital was demolished in 1966 the VC, known as "The Netley VC", was retrieved and is now on display in the Army Medical Services Museum, Mytchett, near Aldershot. This VC is not counted in official statistics. Since 1879, more than 300 Victoria Crosses have been publicly auctioned or advertised. Others have been privately sold. The value of the VC can be seen by the increasing sums that the medals reach at auction. In 1955 the set of medals awarded to Edmund Barron Hartley was bought at Sotheby's for the then record price of £300 (approximately £7700 in present-day terms). In October 1966 the Middlesex Regiment paid a new record figure of £900 (approximately £16500 in present-day terms) for a VC awarded after the Battle of the Somme. In January 1969, the record reached £1700 (£27500) for the medal set of William Rennie. In April 2004 the VC awarded in 1944 to Sergeant Norman Jackson, RAF, was sold at auction for £235,250. On 24 July 2006, an auction at Bonhams in Sydney of the VC awarded to Captain Alfred Shout fetched a world record hammer price of A$1 million (approximately £410,000 at then exchange rates). In November 2009, it was reported that almost £1.5 million was paid to St Peter's College, Oxford by Lord Ashcroft for the VC and bar awarded to Noel Chavasse. Vice Admiral Gordon Campbell's medal group, including the VC he received for actions while in command of HMS Farnborough, was reportedly sold for a record £840,000. Several VCs have been stolen and, being valuable, have been placed on the Interpol watch-list for stolen items. The VC awarded to Milton Gregg, which was donated to the Royal Canadian Regiment Museum in London, Ontario Canada in 1979, was stolen on Canada Day (1 July 1980), when the museum was overcrowded and has been missing since. A VC awarded in 1917 to Canadian soldier Corporal Filip Konowal was stolen from the same museum in 1973 and was not recovered until 2004. On 2 December 2007, nine VCs were among 100 medals stolen from locked, reinforced glass cabinets at the QEII Army Memorial Museum in Waiouru, New Zealand, with a value of around NZD$20 million. Charles Upham's VC and Bar was among these. 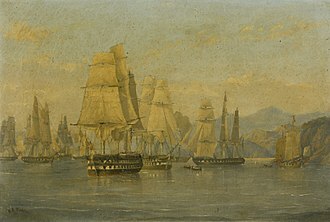 A reward of NZ$300,000 was posted for information leading to the recovery of the decorations and conviction of the thieves, although at the time there was much public debate about the need to offer reward money to retrieve the medals. On 16 February 2008 New Zealand Police announced all the medals had been recovered. The VC collection of businessman and politician Lord Ashcroft, amassed since 1986, contains 162 medals, over one-tenth of all VCs awarded. It is the largest collection of such decorations. In July 2008 it was announced that Ashcroft was to donate £5 million for a permanent gallery at the Imperial War Museum where the 50 VCs held by the museum will be put on display alongside his collection. The Lord Ashcroft Gallery at the Imperial War Museum opened on 12 November 2010 containing a total of 210 VCs and 31 GCs. Prior to November 2010, the largest collection of VCs on public display was held by the Australian War Memorial, whose collection includes all nine VCs awarded to Australians at Gallipoli. Of the 100 medals awarded to Australians (96 VCs, and 4 VCs for Australia), this collection contains around 70 medals, including 3 medals awarded to British soldiers (Grady, 1854; Holbrook, 1914; and Whirlpool, 1858), and 3 of the VCs for Australia (Donaldson, 2008; Keighran, 2010; and Roberts-Smith, 2010). In 2004 a national Victoria Cross and George Cross memorial was installed in Westminster Abbey close to the tomb of the Unknown Warrior. Westminster Abbey contains monuments and memorials to central figures in British History including Isaac Newton, Charles Darwin and James VI & I. It was a significant honour for the VC to be commemorated there. One VC recipient, Lord Henry Percy, is buried, within a family vault, in the Abbey. Canon William Lummis, MC, was a military historian who built up an archive on the service records and final resting places of Victoria Cross holders. This was then summarised into a pamphlet which was taken to be an authoritative source on these matters. However, Lummis was aware of short-comings in his own work and encouraged David Harvey to continue it. The result was Harvey's seminal book Monuments to Courage. In 2007 the Royal Mail used material from Lummis' archives to produce a collection of stamps commemorating Victoria Cross recipients. It is a tradition within the Australian Army for soldiers' recreational clubs on military bases to be named after a particular recipient of the Victoria Cross. Australia has a unique means of remembering recipients of the Victoria Cross. Remembrance Drive is a path through city streets and highways linking Sydney and Canberra. 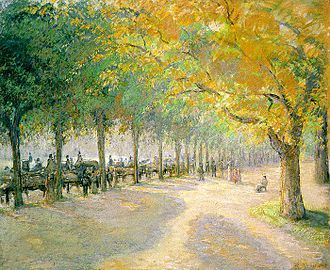 Trees were planted in February 1954 by Queen Elizabeth II in a park near Sydney Harbour and at the Australian War Memorial in Canberra, marking either end of the route, with various plantations along the roadsides in memory of the fallen. Beginning in 1995, 23 rest stop memorials named for Australian recipients of the VC from World War II onwards have been sited along the route, providing picnic facilities and public amenities to encourage drivers to take a break on long drives. 23 of the 26 memorial sites have been dedicated, with a further three reserved for the surviving VC recipients, including two of the newer Victoria Cross for Australia awards. Edward Kenna, VC, was honoured with the most recent rest stop on 16 August 2012, having died in 2009. The subject of soldiers earning the VC has been popular with artists since the medal's inception. 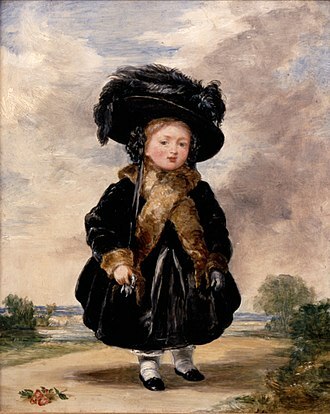 Notable are the fifty paintings by Louis William Desanges that were painted in the late 1850s and early 1860s. Many of these were exhibited at the Egyptian Gallery in Piccadilly, but in 1900, they were brought together by Lord Wantage as the Victoria Cross Gallery and exhibited in the town of Wantage, at that time in Berkshire. 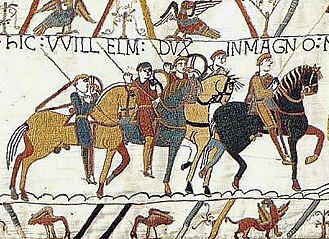 Later the collection was broken up and many of the paintings were sent to the various regiments depicted. Some were damaged or destroyed. A number of the acts were also portrayed in a Second World War propaganda pamphlet, and the images commissioned by the Ministry of Information are presented in an online gallery available on the website of The National Archives. In 2016, portrait photographer Rory Lewis was commissioned by the Victoria Cross and George Cross Association to hold portrait sittings with all the living Victoria Cross and George Cross recipients. ^ Elizabeth Webber Harris was presented with a replica gold VC by the 104th Bengal Fusiliers for her valour in nursing cholera-ridden soldiers in India in 1869. ^ Special Army Order 65 of 1961, paragraph 6. ^ a b "Military Honours and Awards". Defence Internet. 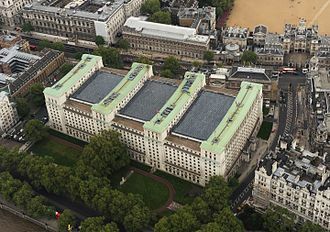 UK Ministry of Defence. Archived from the original on 27 September 2007. Retrieved 30 January 2007. ^ a b "No. 56878". The London Gazette (Supplement). 17 March 2003. p. 3351. ^ a b c d Davies, Catriona (28 December 2005). "Author explodes myth of the gunmetal VC". The Daily Telegraph. London. Archived from the original on 4 June 2008. Retrieved 16 June 2007. ^ Glanfield (2005) pp. 24–35. ^ a b "The Victoria Cross ... awarded to Captain Alfred Shout have been sold at auction". Iain Stewart, Victoria Cross.org. Archived from the original on 25 June 2008. Retrieved 9 April 2008. ^ a b "Press Release: The Lord Ashcroft Gallery, Extraordinary Heroes" (PDF). Imperial War Museum. 9 November 2010. Archived (PDF) from the original on 9 February 2012. Retrieved 17 November 2010. ^ "The Canadian Honours System". National Defence and the Canadian Forces. 13 August 2013. Archived from the original on 17 May 2013. Retrieved 31 March 2013. ^ "Australian Honours System". Archived from the original on 26 August 2018. Retrieved 27 August 2018. ^ "History". New Zealand Honours System. New Zealand Government. 1 April 2011. Archived from the original on 27 August 2018. Retrieved 27 August 2018. ^ a b c Ashcroft (2006), preface. ^ Original Warrant Foreword: And, whereas, the third class of Our Most Honourable Order of the Bath is limited, except in very rare cases, to the higher ranks of both services, and the granting of Medals, both in Our Navy and Army, is only awarded for long service or meritorious conduct, rather than for bravery in action or distinction before an enemy. ^ British Gallantry Awards, p. 283. ^ a b "No. 21846". The London Gazette. 5 February 1856. pp. 410–411. The Gazette publishing the original Royal Warrant. ^ Ashcroft, Michael, p. 7–10. ^ a b c "The Victoria Cross". Vietnam Veterans of Australia. Archived from the original on 29 April 2013. Retrieved 15 June 2007. ^ Original Warrant, Clause 5:Fifthly. It is ordained that the Cross shall only be awarded to those officers and men who have served Us in the presence of the enemy, and shall have then performed some signal act of valour or devotion to their country. ^ a b c "The Victoria Cross". Hancocks of London. Archived from the original on 17 August 2018. ^ a b Beharry, Johnson p. 359. ^ a b c "150 years of the Victoria Cross". Royal Naval Museum. Archived from the original on 15 February 2008. Retrieved 2 July 2008. ^ a b c d e f Creagh, Dudley (1992). Charles Barrett, ed. Advances in X-ray Analysis Vol. 35. Plenum. pp. 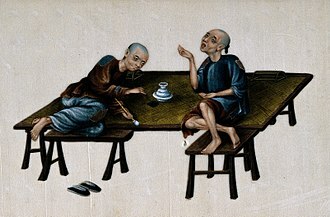 1127–1132. ISBN 978-0-306-44249-0. ^ a b Creagh, Dudley; Ashton, John (1999). J. Fernandez, A. Tartari, ed. Energy Dispersive X-ray Spectrometry. Editrice Compositori. pp. 299–305. ISBN 88-7794-195-2. ^ Glanfield (2005), pp. 24–35. ^ a b Original Warrant, Clause 1: Firstly. 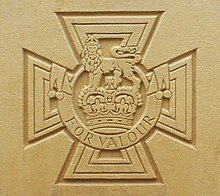 It is ordained that the distinction shall be styled and designated "The Victoria Cross", and shall consist of a Maltese cross of bronze, with our Royal crest in the centre, and underneath with an escroll bearing the inscription "For Valour". ^ Ashcroft, Michael, p. 16. ^ a b Abbott PE, Tamplin JMA, Chapter 44, p. 291. ^ Original warrant, Clause Two: Secondly. It is ordained that the Cross shall be suspended from the left breast by a blue riband for the Navy, and by a red riband for the Army. ^ "The Victoria Cross mentioned in newsletter" (PDF). Army Museum of Western Australia. 1 September 2006. Archived from the original (PDF) on 17 December 2008. Retrieved 21 June 2007. ^ "The Victoria Cross". Imperial War Museum Exhibits and Firearms Collections. Archived from the original on 27 September 2011. Retrieved 30 September 2006. ^ a b Crook, MJ, Chapter 18, p. 204. ^ a b "Posthumous VCs". National Army Museum. Archived from the original on 16 July 2007. Retrieved 16 June 2007. ^ Pillinger, Dennis; Staunton, A, p. 73. ^ a b "No. 27462". The London Gazette. 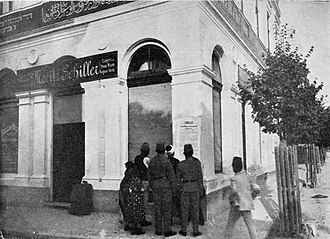 8 August 1902. p. 5085. ^ Crook, MJ, Chapter 8 pp. 68–90. ^ Mead, Gary (2015-05-07). Victoria's Cross: The Untold Story of Britain's Highest Award for Bravery. Atlantic Books. ISBN 9781782396383. ^ Edwardes, Charlotte (2003-10-18). "'Wrong men' given VCs at Rorke's Drift". ISSN 0307-1235. Retrieved 2019-01-19. ^ "The Victoria Cross". Imperial War Museum. Archived from the original on 15 June 2011. Retrieved 22 April 2015. ^ Original Warrant, Clause 13: Thirteenthly. 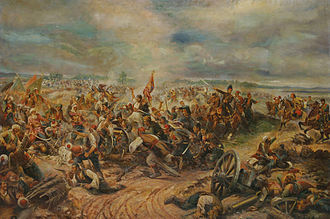 It is ordained that in the event of a gallant and daring act having been performed by a squadron, ship's company, or detached body of seamen and marines not under fifty in number, or by a brigade, regiment, troop or company in which the admiral, general, or other officer commanding such forces may deem that all are equally brave and distinguished, and that no special selection can be made by them, then is such case the admiral, general, or other officer commanding, may direct that for any such body of seamen or marines, or for every troop or company of soldiers, one officer shall be selected by the officers engaged for the Decoration, and in like manner one petty officer or non-commissioned officer shall be selected by the petty officers and non-commissioned officers engaged, and two seamen or private soldiers or marines shall be selected by the seamen, or private soldiers, or marines engaged, respectively for the Decoration, and the names of those selected shall be transmitted by the senior officers in command of the Naval force, brigade, regiment, troop, or company, to the admiral or general officer commanding, who shall in due manner confer the Decoration as if the acts were done under his own eye. ^ Warrant Amendment dated 10 August 1858: subject to the rules and ordinances already made, on Officers and Men of Her Majesty's Naval and Military Services, who may perform acts of conspicuous courage and bravery under circumstances of extreme danger, such as the occurrence of a fire on board ship, or the foundering of a vessel at sea, or under any of the other circumstance in which, through the courage and devotion displayed, life or public property may be saved. ^ a b "VC background". British War Graves Memorial. Archived from the original on 6 October 2007. Retrieved 16 June 2007. ^ "Victoria Cross TV programme notes". fiveTV. Archived from the original on 29 September 2007. Retrieved 17 June 2007. ^ "Charles heaphy biography". New Zealand Encyclopedia. 1966. Archived from the original on 15 August 2007. Retrieved 17 June 2007. ^ a b Abbott PE, Tamplin JMA, Chapter 34, pp. 230–236. ^ "New Zealand Cross". New Zealand Encyclopedia. 1966. Archived from the original on 27 September 2007. Retrieved 17 June 2007. ^ Crook, MJ, Chapter 19, pp. 242–251. ^ Crook, MJ, Chapter 11. pp. 117–125. ^ a b "New Zealand Honours". Department of Prime Minister and Cabinet. Archived from the original on 7 December 2006. Retrieved 30 January 2007. ^ a b "No. 56878". The London Gazette (Supplement). 17 March 2003. pp. 3351–3355. The Gazette containing the most up-to-date Order of Precedence. ^ Republic of South Africa Government Gazette Vol. 477, no. 27376, Pretoria, 11 March 2005, OCLC 72827981. ^ a b "The Victoria Cross for Australia". The Government of Australia. Archived from the original on 7 October 2013. Retrieved 30 June 2007. ^ CTV.ca, News staff (3 March 2007). "Top military honour now cast in Canada". CTV news. Archived from the original on 5 March 2007. Retrieved 24 June 2007. ^ "Pro Valore: Canada's Victoria Cross" (PDF). National Defence; Government of Canada. Archived (PDF) from the original on 11 July 2011. Retrieved 30 August 2011. ^ "Australian SAS soldier Mark Donaldson awarded Victoria Cross". The Australian. News Limited. 16 January 2009. Retrieved 7 August 2009. ^ "SAS digger awarded VC for taking on Taliban". Sydney Morning Herald. 23 January 2011. Archived from the original on 7 January 2014. Retrieved 23 January 2011. ^ "Corporal Daniel Keighran awarded the Victoria Cross". 1 November 2012. Retrieved 1 November 2012. ^ Teotonio, Isabel (7 March 2007). "Vets irate at Victoria Cross proposal". Toronto Star. Archived from the original on 17 October 2007. Retrieved 24 June 2007. ^ a b "The world's most exclusive club". Ministry of Defence. 30 April 2007. Archived from the original on 9 June 2007. Retrieved 16 June 2007. 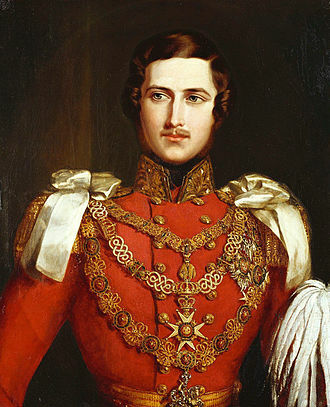 ^ The original Warrant and the Queen's Regulations for the Army prior to 1881 give no indication on how the decoration was to be worn alongside other medals. ^ Sir Ivan de la Bère, The Queen's Orders of Chivalry, 1964. ^ The complete book of Heraldry by Stephen Slater, 2002. ^ Original Warrant, Clause 14: It is ordained that every warrant officer, petty officer, seaman or marine, or non-commissioned officer, or soldier who shall have received the Cross, shall, from the date of the act by which the Decoration has been gained be entitled to a special pension of 10 pounds a year, and each additional bar conferred under Rule 4 on such warrant or petty officers, or non-commissioned officers or men, shall carry with it an additional pension of 5 pounds per annum. 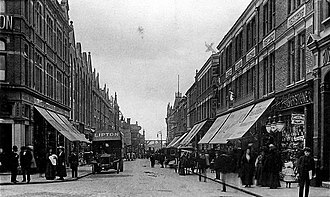 ^ Warrant Amendment 1898-07-1898 ... authorize the increase of the Victoria Cross pension from 10 pounds to 50 pounds per annum, the condition to be satisfied in such cases being inability to earn a livelihood, in consequence of age or infirmity occasioned by causes beyond an Annuitant's control. ^ "George Osborne to raise Victoria Cross and George Cross payments to £10,000". Archived from the original on 10 September 2016. Retrieved 18 December 2016. ^ "Income Tax (Earnings and Pensions) Act 2003, c. 1, Part 9, Chapter 17, Section 638". legislation.gov.uk. Archived from the original on 29 December 2010. Retrieved 12 July 2011. ^ "Canadian Gallantry Awards Order". Canadian Legal Information Institute. Archived from the original on 29 September 2007. Retrieved 30 June 2007. ^ "Veteran's Entitlement Act 1986". Australasian Legal Information Institute. Archived from the original on 21 May 2007. Retrieved 16 June 2007. ^ Australian Veteran's Entitlement Act 1986, Clause 103, Victoria Cross allowance granted to a veteran under this section is payable at the rate of A$3,230 per year. The amount fixed by this subsection is indexed annually in line with CPI increases. (accessdate=30 June 2007). ^ "Veteran's Entitlement Act 1986, Clause 198a,". Australasian Legal Information Institute. Archived from the original on 4 April 2008. Retrieved 30 June 2007. ^ Original Warrant Clause 15: Fifteenthly. 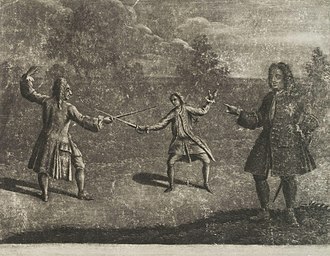 In order to make such additional provision as shall effectually preserve pure this most honourable distinction, it is ordained that, if any person be convicted of treason, cowardice, felony, or of any infamous crime, or if he be accused of any such offence, and doth not after a reasonable time surrender himself to be tried for the same, his name shall forthwith be erased from the registry of individuals upon whom the said Decoration shall have been conferred, and by an especial Warrant under Our Royal Sign Manual, and the pension conferred under Rule 14 shall cease and determine from the date of such Warrant. 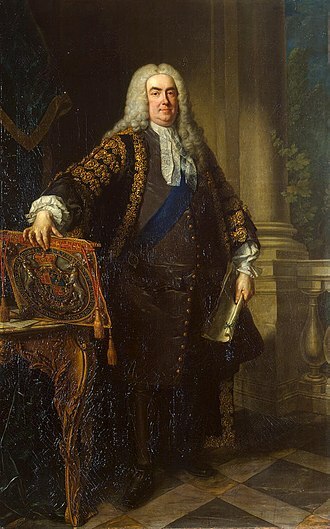 It is hereby further declared, that We, Our Heirs and Given Successors, shall be the all judges of the circumstances requiring such expulsion; moreover, We shall at all times have power to restore such persons as may at any time have been expelled, both to the enjoyment of the Decoration and Pension. ^ 1920 warrant, article 12 Archived 9 October 2016 at the Wayback Machine, at Victoria Cross Rules (1856–1920), www.victoriacross.co.uk (retrieved 7 October 2016). ^ 'Forfeited VC myths' in the 27th Victoria Cross Society Journal published October 2015 (see [permanent dead link]). ^ Duckers, Peter (2005). The Victoria Cross. Shire Publications Ltd. p. 52. ISBN 978-0-7478-0635-6. ^ "The History of The Royal Welsh: Anglo-Zulu War 1879". The Regimental Museum of The Royal Welsh (Brecon). Archived from the original on 7 April 2015. Retrieved 22 April 2015. For the same action four other VCs were awarded to members of other units. ^ Arthur, Max; pp. 185–371. ^ "Service of Remembrance Coverage". BBC. 26 June 2006. Archived from the original on 13 July 2006. Retrieved 30 June 2007. ^ a b Victoria Cross Register. ^ Ashcroft, Michael, Introduction: A brief History of the VC (p. 14–18). ^ "Awards to Imperial Servicemen During the 2nd Maori War". New Zealand Encyclopedia. Archived from the original on 7 July 2007. Retrieved 30 June 2007. ^ Ashcroft, Michael, p. 296–298, Information on Flying Officer Lloyd Allan Trigg. ^ Singh Gill, Himmat. "Of blood red in olive green". India Sunday Tribune. Archived from the original on 30 September 2007. Retrieved 30 June 2007. ^ "Operational Honours: VC and GC for acts of exceptional valour". MOD press release. 24 December 2006. Archived from the original on 27 September 2007. Retrieved 16 June 2007. ^ "Victoria Cross Award For L/Cpl James Ashworth". Sky News. 16 March 2013. Archived from the original on 18 March 2013. Retrieved 16 March 2013. ^ "No. 61154". The London Gazette (Supplement). 26 February 2015. p. 3466. ^ a b "Netley Hospital information". QARANC – Queen Alexandra's Royal Army Nursing Corps. Archived from the original on 3 June 2007. Retrieved 16 June 2007. ^ Bevis Hillier (22 January 1969). "£1,700 world record for a VC". Arts and Entertainment. The Times (57465). London. col F, p. 12. ^ "Gallipoli VC medal sets auction record". The Age. Melbourne. 24 July 2006. Archived from the original on 27 November 2013. Retrieved 30 January 2007. ^ Table 3 "UK Sales 1881–2000", Pillinger and Staunton. ^ "Lord Ashcroft pays record price for 'ultimate' Victoria Cross". The Daily Telegraph. Archived from the original on 27 February 2017. Retrieved 26 February 2017. ^ "Royal Navy VC sells for world-record auction price". Royal Navy. 27 November 2017. Archived from the original on 9 December 2017. Retrieved 9 December 2017. ^ Stewart, Iain (18 August 2017). "Stolen Victoria Crosses". Victoria Cross.org. Archived from the original on 20 November 2005. ^ "Victoria Cross: Theft of the VC". solarnavigator.net. Archived from the original on 29 April 2007. Retrieved 16 June 2007. ^ "Information on Konowal". Lubomyr Y. Luciuk and Ron Sorobey. Archived from the original on 4 July 2007. Retrieved 16 June 2007. ^ "Stolen VC back on display". CBC Canada. 24 August 2004. Archived from the original on 13 May 2007. Retrieved 16 June 2007. ^ Cheng, Derek (2 December 2007). "Army medal theft 'insult' to our nation's heritage". The New Zealand Herald. Retrieved 2 December 2007. ^ Wall, Tony (20 February 2008). "Why gangland figure got our medals back". Stuff. Archived from the original on 10 September 2012. Retrieved 3 September 2008. ^ "Stolen War Medals Recovered". New Zealand Police. 16 February 2008. Archived from the original on 7 October 2008. Retrieved 3 September 2008. ^ Pierce, Andrew (8 July 2008). "World's largest VC collection to go on show". The Daily Telegraph. London. Archived from the original on 31 May 2009. Retrieved 9 July 2008. ^ "Victoria Cross". The Australian War Memorial. 17 July 2018. Archived from the original on 23 July 2018. Retrieved 27 August 2018. ^ a b "List of Museums". Victoria cross.org. Archived from the original on 24 June 2007. Retrieved 16 June 2007. ^ "Collections and exhibitions". Gordon Highlanders' Museum. Archived from the original on 31 May 2009. Retrieved 11 August 2008. ^ In May 2014, the AWM website listed 69 medals, including 3 VCs for Australia – see "Victoria Cross". Australian War Memorial. Archived from the original on 6 October 2014. Retrieved 15 May 2014. ^ "News of Memorial". MoD. Archived from the original on 27 September 2007. Retrieved 16 June 2007. ^ "Westminster Abbey, a history". Sacred Destinations guide. Archived from the original on 29 June 2007. Retrieved 30 June 2007. ^ The Morning Post, 5 Dec. 1877. ^ "Obituary: Canon W. M. Lummis", The Times, 19 November 1985; p. 18; Issue 62299; col G.
^ "The Post Office issues VC stamps in 2007 illustrated with artifacts from the collection of Canon Lummis in the National Army Museum". Royal Mail. 15 June 2007. Archived from the original on 8 June 2011. Retrieved 15 June 2007. ^ Wigmore 1986, p. 15. ^ "The Remembrance Driveway and VC Rest Areas" (PDF). Oral History Program. NSW Roads and Maritime Services. Retrieved 10 November 2012. ^ See Sally Whipple. (2001). Catalogue of the Series of Historical Pictures by Chevalier L. W. Desanges. (Wantage, 2000). This was the catalogue to an exhibition of photographic reproductions of many of the paintings held in Wantage to honour the Millennium. ^ "Victoria Cross". Online Exhibitions—The Art of War—Valour & Gallantry—Valour. The National Archives. Archived from the original on 22 December 2009. Retrieved 24 December 2009. ^ "Victoria & George Cross Portraits – Portrait Photographer Rory Lewis Liverpool & London & Los Angeles (CA)". Archived from the original on 27 October 2016. Retrieved 4 December 2016. Abbott, Peter; Tamplin, John (1981). British Gallantry Awards. London: Nimrod Dix and Company. ISBN 0-902633-74-0. Ashton, John (1995). ANZAC Fellowship 1995 report: the analyses of Victoria Crosses in New Zealand. Australian War Memorial. Beharry, Johnson (2006). Barefoot Soldier. Sphere. ISBN 0-316-73321-0. Creagh, Dudley (1992). Charles Barrett, ed. Advances in X-ray Analysis Vol.35. Plenum. pp. 1127–1132. ISBN 978-0-306-44249-0. Creagh, Dudley; Ashton, John (1999). J. Fernandez, A. Tartari, ed. Energy Dispersive X-ray Spectrometry. Editrice Compositori. pp. 299–305. ISBN 88-7794-195-2. Duckers, Peter (2006). British Gallantry Awards, 1855–2000. Shire Publications. ISBN 0-7478-0516-4. Duckers, Peter (2005). The Victoria Cross. Shire Publications. ISBN 978-0-7478-0635-6. Glanfield, John (2005). Bravest of the Brave. Sutton Publishing. ISBN 0-7509-3695-9. Harvey, David (2000). Monuments to Courage. Naval & Military Press. ISBN 1-84342-356-1. Pillinger, Dennis; Staunton, Anthony (2000). Victoria Cross Presentations and Locations. Maidenhead, Berkshire: Woden. ISBN 0-646-39741-9. Ross, Graham (1995). Scotland's Forgotten Valour. MacLean Press. ISBN 1-899272-00-3. Wigmore, Lionel, ed. (1986). They Dared Mightily (2nd ed.). Canberra: Australian War Memorial. ISBN 0-642-99471-4. Wright, Christopher J.; Anderson, Glenda M., eds. (2013). The Victoria Cross and the George Cross: The Complete History. 3 vols. York: Methuen & Co. ISBN 978-0-413-77752-2. Wikimedia Commons has media related to Victoria Cross. "Holders of the Victoria Cross and the George Cross". The Times. London. 19 August 2009. Archived from the original on 31 May 2010. Contains a list of links to obituaries. The Victoria Cross, created in 1993, is a military decoration and the highest award within the Canadian honours system, taking precedence over all other orders and medals. Recipients are entitled to use the post-nominal letters VC and to receive an annuity of C$3,000, the decoration has not been awarded since its inception. The cross could not be awarded posthumously until the policy was reversed in 1902, until 1972,81 members of the Canadian military and 13 Canadians serving in British units had been awarded the Victoria Cross. The prime minister at the time, Pierre Trudeau, regularly dodged questions about the Victoria Cross, stating that only Canadians should receive Canadian decorations. It was his successor, Brian Mulroney, who set up in 1987 a committee to look into the creation of a Canadian Victoria Cross as part of a new series of military honours. The request was approved with the issue of patent by Queen Elizabeth II on 2 February of the following year. Thus, a Canadian serving as part of an operation is eligible to be awarded the Victoria Cross if the service member fulfils the above criteria. Alternatively, a commander can submit a name for consideration. Previously, Canadians who were awarded the British Victoria Cross were given special headstones at their burial sites in Commonwealth War Graves. It had agreed at the time of the Unknown Soldiers repatriation that no award or decoration would be bestowed on the remains. No decision was taken about the awarding of the Canadian Victoria Cross to the Canadian Unknown Soldier, near the end of Canadas role in the Afghanistan War, concerns were raised about the stringency of the criteria that needed to be met to receive the Victoria Cross. This led Chief of the Defence Staff, Walter Natynczyk, the design of the Canadian medal is derived from that of the British original, which was the creation of Albert, Prince Consort, royal consort to Queen Victoria. Edwards Crown, which rests above a semi-circular scroll. On the reverse is a circle for engraving the date of the act of gallantry along with the name, rank. Cathy Bursey-Sabourin, Fraser Herald of the Canadian Heraldic Authority, and these were cast, rather than struck, continuing the tradition started in the United Kingdom when it was found the metal alloy was too brittle for striking, and finished at the Royal Canadian Mint. Michael Anthony P. Ashcroft, Baron Ashcroft, KCMG, PC is a businessman and politician. He is a deputy chairman of the Conservative Party. Ashcroft founded Michael A. Ashcroft Associates in 1972 and is the 74th richest person in the UK, as ranked by the Sunday Times Rich List 2015, with an estimated fortune of £1.32 billion. He sat on the Conservative benches of the House of Lords until 2015 and his peerage was controversial due to his status as tax exile. The Cabinet Office stated that he would take up permanent residence in the UK for tax purposes, Ashcroft holds dual British and Belizean nationality, and is a belonger of the Turks and Caicos Islands. Born in Chichester, West Sussex, as his father Eric was a British colonial civil servant, Ashcroft spent some of his years in British Honduras. He was educated at Norwich School, Royal Grammar School, High Wycombe, and Mid-Essex Technical College, where he obtained a Higher National Diploma in Business studies. After a period in Belize after completing his education, Ashcroft returned to hitch hike around Europe, in 1967, Ashcroft joined Carreras Tobacco as a management trainee. He left in 1969, joining Pritchard Group Services, after months on the dole. In 1972 at age 26, he started his own business and his first acquisition was Uni-Kleen – a loss-making cleaning company with one thousand employees, which he purchased for just £1 in 1974, with a £15,000 bank loan. He worked to turn the company around, selling it just three years for £1.3 million, on exiting Uni-Kleen in 1977, his next purchase was Hawley Goodall, another poorly performing company, this time in camping equipment manufacture. By 1981, Hawley had made its first acquisitions in the United States, by early 1983, Hawley had built up a 20% stake in pharmaceutical packaging manufacturer Cope Allman. Ashcroft offered to increase his stake to 29. 9%, just below the 30% level at which a formal bid for the company must be launched. 5% in the company. But the takeover panel found that the Ashcroft and Wickins were operating independently, at this point the combined holdings of Hawley/BCA in Cope Allman amounted to 43. The royal sign-manual is the signature of the sovereign, by the affixing of which the monarch expresses his or her pleasure either by order, commission, or warrant. A sign-manual warrant may be either an executive act—for example, an appointment to an office—or an authority for affixing the Great Seal of the pertinent realm, the sign-manual is used to give power to make and ratify treaties. Sign manual, with or without hyphen, is an old term for a signature in general. The royal sign-manual usually consists of the regnal name, followed by the letter R for Rex or Regina. Thus, the signs-manual of both Elizabeth I and Elizabeth II read Elizabeth R, when the British monarch was Emperor or Empress of India, the sign manual ended with R I, for Rex Imperator or Regina Imperatrix. Some letters patent are not signed by the monarch in person, the monarch signs a warrant authorizing the preparation of the letters patent and approving the draft text of the letters patent. Other letters patent, due to the nature of their contents, such letters patent contain, at the bottom, the words, By the King/Queen Him/Herself, Signed with His/Her own hand. Her Majestys Principal Secretary of State for Defence is an official within Her Majestys Government and head of the Ministry of Defence. The office is a British Cabinet level position, the post was created in 1964 as successor to the posts of Minister for Coordination of Defence and Minister of Defence. 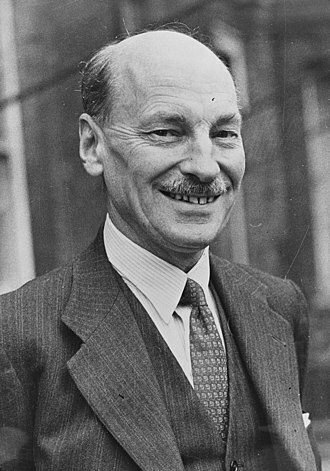 The position of Minister for Co-ordination of Defence was a British Cabinet-level position established in 1936 to oversee, the position was established by Prime Minister Baldwin in response to criticism that Britains armed forces were understrength compared to those of Nazi Germany. Despite this, Baldwins choice of the Attorney General Sir Thomas Inskip provoked widespread astonishment, a famous comment made in response to Inskips appointment was This is the most cynical appointment since Caligula made his horse a consul. In 1939 Inskip was succeeded by First Sea Lord Lord Chatfield, in April 1940 the position was formally wound up and the functions transferred to other Ministers. Colour key, Conservative none The post of Minister of Defence was responsible for co-ordination of defence, the post was a Cabinet level post and generally ranked above the three service ministers, some of whom, continued to serve in Cabinet. 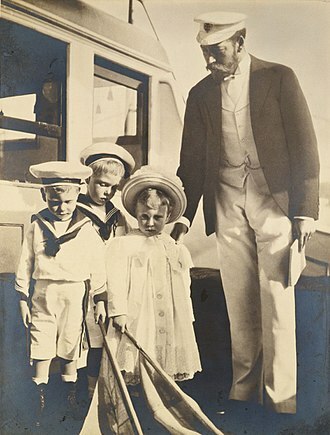 Sir Alfred Mond, photographed between 1910 and 1920. 15-inch guns outside the museum; the nearer gun from HMS Ramillies, the other from HMS Resolution. 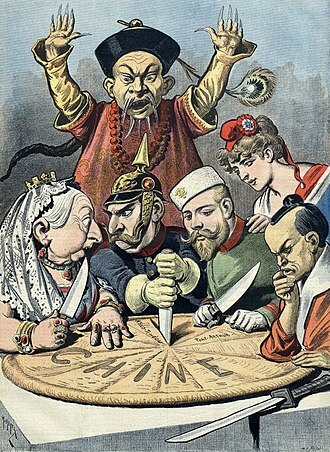 A French political cartoon depicting China as a pie about to be carved up by Queen Victoria (Britain), Kaiser Wilhelm II (Germany), Tsar Nicholas II (Russia), Marianne (France) and a samurai (Japan), while a Chinese mandarin helplessly looks on. Chinese Muslim troops from Gansu, also known as the Gansu Braves, killed a Japanese diplomat on 11 June 1900. Foreigners called them the "10,000 Islamic rabble." Emblem of the Military Order of Malta on the facade of San Giovannino dei Cavalieri, Florence (1699). Anglia Ruskin University's Michael A. Ashcroft Building, opened in 2002 in Chelmsford. It houses the Lord Ashcroft International Business School. Trooper Donaldson's medals on display at the Australian War Memorial. His Victoria Cross for Australia is at left.